Having your own baby is such a wonderful experience. You want to give them ultimate comfort as they grow. However, there are times when you’re just too busy to keep your child company or carry them around. In such a situation, you need a sitting platform that provides a perfect blend of comfort and relaxation. Such is what you get a baby floor seat. And since most manufacturers are all about sweet talk, you need a brand that’s known to deliver as advertised. 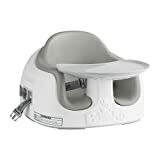 Bumbo floor seats take your child’s comfort to a whole new level. 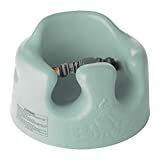 But to let your child get the most from it, you need to get your hands on the best Bumbo floor seats. These seats come in different designs and styles. You can get the standard models or settle for the 3-in-1 seats in case you want something that grows with your baby. Some seats come with extra features, such as feeding tray. As you can see, there’s more to choosing the right floor seat than just a consideration of price. Let’s go a step further to look at some of the best Bumbo floor seats to help you make the right purchase. This floor seat is built to provide a gentle support and comfort. The seat is made of 100% foam; a construction that provides a super soft cradling. It sports a single height position and the leg openings come elevated to keep your baby in an upright position. There’s a 3-point harness system to keep your child from getting out of the seat. For safety purposes, it’s recommended that the seat not is used on elevated surfaces. It comes fully assembled and suits babies who are 3 to 9 months old. The seat is for babies who are able to hold their heads independently. The function of most floor seats is often limited to support. This seat goes a step further to service your baby in three different ways. Its 3-in-1 design lets it function as a floor, feeding, and booster seat. This transforms it into a 3-stage seat that can be used from infant to toddler stage. The base adjusts to accommodate a growing child and is wide enough for optimized stability. There’s a tray for feeding purposes. 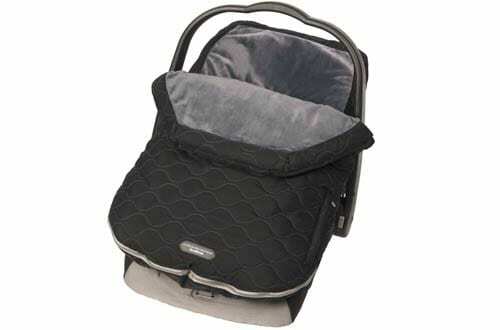 Your baby gets the comfort of a soft foam insert that can be removed to create plenty of room. This floor seat has a 3-point harness system to secure your baby in position. This is a colorful floor seat sporting a flared base, a feature that creates more contact with the ground for added stability. It’s a 3-in-1 seat serving the functions of a positioner, feeder, and booster seat. Such a design accommodates your child from infant to toddler stage. There are straps that harness your baby in an upright position or strap the seat to a chair. A removable foam insert provides a super soft support and can be removed to create more room as your baby grows. The feeding tray sports a cup holder and is dishwasher safe for easy cleaning. This seat supports your child up to the age of 3 years. It’s a handy choice for those in need of a 3-in-1 seat. 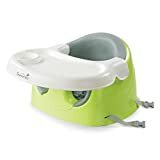 It functions as a floor seat, booster seat, and feeding seat. The base is adjustable in height to match the size of your child. It has a large footprint that creates a stable support. There’s a curved tray for feeding purposes; a tray that attaches to the back of the seat for easy storage. A strap system holds your baby in position and can be used to secure the seat on a chair during meal times. This floor seat comes in a sweet rose pink color that’s sure to stand out. The seat is made of polyurethane; a material that provides a soft support without the need for a foam insert. Your baby is held in position via a 3-strap harness. This floor seat is specially designed for use on floors. The backrest comes a little bit raised to hold the baby in a comfortable, upright position. This floor seat comes portable and lightweight to give you an easy time during transportation.